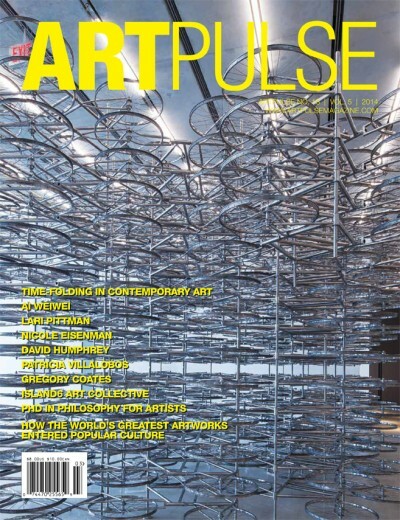 ArtPulse Front Cover: Ai Weiwei, Stacked, 2002, 680 stainless steel units. 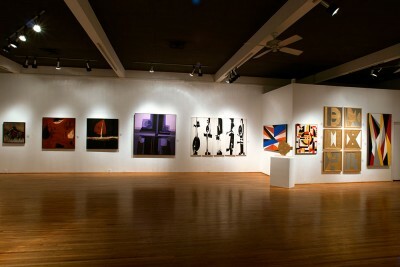 Installation view Pérez Art Museum Miami. Photo: Daniel Azoulay Photography. Abstraction has become such a widely applied and accepted mode of art-making that it can be hard to perceive the threat it has repeat- edly presented to prevailing artistic practices and cultural norms, extending to their political underpinnings in some volatile and re- pressive climates. 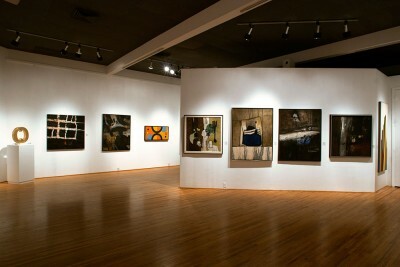 Yet the trajectory of “non-objective art” over the last century highlights how radical the advent of avant-garde move- ments were amid the escalation of the Russian Revolution; how risky the gestures of Abstract Expressionism were in confronting initial resistance from American institutions, critics and audiences; how po- tent the progressive stance of geometric abstraction was in pitting its South American proponents against dictatorial regimes. The tactical measures these artists employed and the reactionary op- position they provoked set precedents for their less-renowned counter- parts in Cuba. Their strains echo in “The Silent Shout: Voices of Cuban Abstraction 1950-2013,” which resonates with the persistent rhythm of the island’s own variations on such international styles. 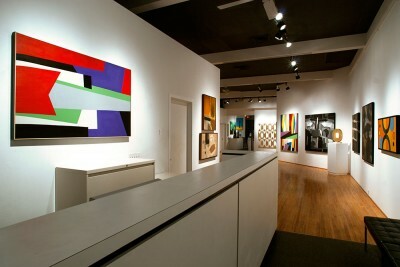 The nine paint- ers’ diverse strokes and tones could have become discordant in concert, but the arrangement composed by gallerist Virginia Miller—who has honed her installation artistry over 40 years of conducting contempo- rary showcases in Miami—riffs on formal affinities and harmonizes complementary hues. Set against a rousing score of historical upheaval and artistic suppression that strike a chord with audiences, this sym- phony honors the artists’ individual and collective accomplishments. Abstraction first appeared in Cuban art circles in 1950 at the “IV National Salon of Painting and Sculpture” in the galleries of the Capi- tolio Nacional headquarters. Its pioneers officially announced their ar- rival on the Havana scene with two high-profile exhibitions in 1953: first “Quince Pintores y Escultores” (“Fifteen Painters and Sculptors”), quickly winnowed to “Once Pintores y Escultores.” The latter figure stuck through further fluctuation in the membership of “Los Once” over an intense succession of shows in a short span of time—particu- larly impressive in spite of a mixed reception from art professionals aligned with the representational and nationalistic traditions of the dominant academic and modernist styles. Regarding the vaunted van- guardia with attitudes ranging from subtle irreverence to open disdain, Los Once and their contemporaries in the more geometrically oriented group that emerged in 1957, dubbed “10 Pintores Concretos” (“Ten Concrete Painters”), positioned themselves as outsiders uncompro- mised by upper-class patronage or state sponsorship. decrees dissolved these alliances, the ensuing emphasis on Socialist Realism and iconography modeled upon and intelligible to the hum- ble masses created an inhospitable environment. As opportunities for exposure and sustenance dried up at the outset of the 1960s, abstrac- tion withered or burrowed underground. Its adherents sublimated their abstract muses by channeling those creative urges into figura- tive studies and scenes, keeping their artistic endeavors private, or seeking freedom of expression beyond Cuba’s boundaries. They were nearly relegated to a historical footnote by the time “Pin- turas del Silencio” (“Paintings of Silence”) opened at Galería La Acacia during the VI Havana Biennial. The first exhibition in Cuba devoted to abstract work in 34 years resurrected this lost art form by demon- strating that it had never really gone missing, just unrecognized. 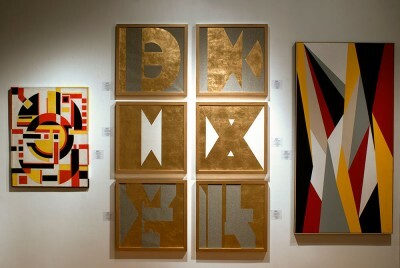 Cuban artists José Angel Vincench and Ramón Serrano curated a cross-section of 18 artists that encompassed their emerging peers, the preceding gen- eration whose break with modernist traditions in 1980 was heralded as “New Cuban Art,”and former members of Los Once and 10 Pintores Concretos. The landmark survey revealed that not only had some of the trailblazers surreptitiously resumed exploring abstraction, but sub- sequent generations had inherited these timeworn tools and integrated them into eclectic arsenals—in keeping with global trends that eschew dogmatic movements in favor of interdisciplinary flexibility. Wide-ranging practices understandably attract less attention, but the relaxing of earlier constraints also suggests that over time scrutiny of non-literal forms has been superseded by censorship of conceptual art- works that test the vigilance of Cuban cultural watchdogs by embedding political commentary in subversive visuals. Courageously reopening the cold case of Cuban abstraction and introducing new evidence, “Pinturas del Silencio” emboldened others to investigate Cuban abstract art. The intervening years have seen numerous exhibitions, including several at the Museo Nacional de Bellas Artes since 2002, sending a liberating sig- nal to artists experimenting with the potential of abstraction to impart meaning on many levels, from the personal to the political. Still, much of that work has not been seen in the United States— let alone placed in the historical context enabled by the scope of ￼“The Silent Shout.” Conceived as a belated sequel to “Pinturas del Silencio” it continues the revisionist campaign launched 17 years ago by Vincench and Batet (who wrote an introduction to the previous show’s catalog while teaching at Vincench’s alma mater, Havana’s Instituto Superior de Arte, ISA), collaborating now as co-curators with the art writer Rafael Díaz-Casas. The illuminating Miami edi- tion has a more concentrated roster (five of the nine artists have par- ticipated in both shows) but a longer time span that straddles seven decades of work and nine decades of life. 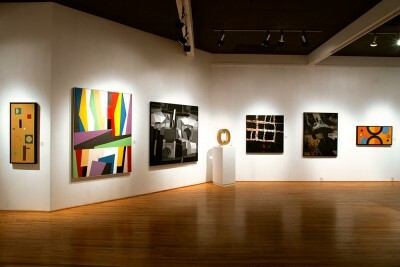 It even offers a glimpse of abstraction’s future with the addition of a vast oil painting of pastel bubbles by Luis Enrique López, who was only 9 at the time of “Pin- turas del Silencio” and just graduated from ISA following a semester at Stockholm’s Royal Institute of Art and a series of proposals for the XI Havana Biennial. Of the three dozen works on display, two- thirds were created in the 21st century, 17 in the last year alone. Some of the freshest samples come from the show’s oldest living art- ist, the 82-year-old Pedro de Oraá, whose compositions pulsate with a vibrant energy and technical expertise that add dimension to the shift- ing shapes of his “Diversion” series. The vivid purples of Divertimento 2 give way to myriad shades of gray in Divertimento 1. The latter’s overlapping silhouettes play well against the contrasting rainbow mo- saic of multifaceted shards that meet at sharp edges and perpendicu- lar angles in 78-year-old José Rosabal’s Transversal. By hanging these 2013 works side-by-side, Miller animates an unspoken exchange be- tween the two surviving members of “10 Pintores Concretos” in “The Silent Shout,” reviving the rapport of these two compatriots. The large new works by de Oraá and Rosabal update the geomet- ric legacy of the “10 Pintores Concretos,” putting in perspective works from the 1950s by fellow members Sandú Darié and Dolores “Loló” Soldevilla that are among the oldest in this show. Their smaller can- vases share a Suprematist sensibility with balanced arrangements of circles and rectangles that would have fit right into early 20th century St. Petersburg. Soldevilla served as an unofficial ambassador for the movement, founding Color-Luz Gallery with longtime partner de Oraá in 1957 and introducing their like-minded peers to Havana audiences. The late delegates from Los Once take a more expressionistic, organic approach. Elements arrayed in Hugo Consuegra’s 1955 El Recuerdo Golpeado (“The Beaten Memory”) suggest unidentifiable utensils or cubist instruments akin to those played by Picasso’s mu- sicians in 1921. Five of Consuegra’s paintings from 1955 to 1964 are juxtaposed with untitled works by Raúl Martínez in similarly modest proportions but distinguished by thick swaths of gritty oil paint that build up a textured surface reminiscent of Dubuffet. Martínez’s murky palette extends to an undated piece hung sepa- rately, but its translucent washes evoke a ghostly presence. The most cryptically conceptual and slyly political of these nine tal- ents, Vincench traces triangles, crosses and curves from the fragmented spaces created by superimposing the capital letters that spell out the loaded title “Exilio,” which he calls a “dirty word” in Cuba. Gilding this verboten term on stretched linen and carved cedar in regal 23-karat gold leaf, he symbolically summons absence, transmitting coded mes- sages across closed borders. By amplifying the voices that emanate from 64 years of Cuban ab- straction to a level audible above the white noise of communism, “The Silent Shout” ultimately sounds a hopeful note. Margery Gordon is a freelance arts journalist and regular contributor to ARTnews, Art+Auction, ArtInfo.com and the official Art Basel Mi- ami Beach Magazine, among other publications. She is a professor at Barry University in Miami.